Please forgive me if this is the 1,000th green juice you have seen. I've seen tons myself, but this is the first green juice I have ever made (as opposed to a green smoothie) and it is SO good and easy to make that I just had to share it. This juice is from Gwyneth Paltrow's new cookbook, "It's All Good." I personally couldn't think of a better way to describe this drink. It's full of calcium and antioxidants, it tastes like lemonade (no joke) and no juicer is needed! YAY! I made this in my Vitamix I'm pretty sure it turned out the same as if I would have used a juicer. Gwyneth's recipe included a sprig of mint, but I didn't have any on hand when made the juice. It still turned out great! To make the juice with a juicer, simply push all of the ingredients through a juicer. If you don't have a juicer, blend the ingredients up in a blender with 1/2 cup of water. Pass the mixture through a fine-mesh strainer. Drink immediately as it gets bitter as it sits. Your taste buds and your body will thank you! This looks so healthy! I will have to try it! Have a great day! I need to start juicing asap!!! Yum, thanks for sharing. I am hoping to be better about juicing in the morning. I adore juicing and am loving this. The color in your pic is so vibrant! OK I am sorry but these do not hold a candle next to the blondies..lol. But thanks for the info because though I am not a "juicer" I made my first ones a few days ago and really liked them...and think this might become a more regular gig! At least until I can go back to making blondies again lol. this is my FAVORITE green juice!! I so need to make this... pinning it now to motivate myself! Thanks for sharing! I need to get her book! It's good to know I can make it without a juicer. Thanks for the tip! This looks delicious!! What juicer do you have? 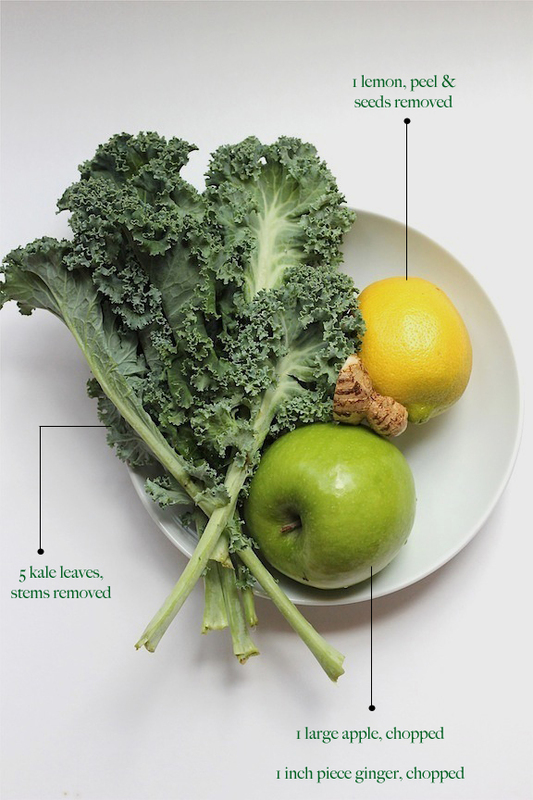 My juicer doesn't share a love of kale with me and it seems it's about time for an upgrade. Any suggestions? Thanks again! I have a Vitamix as opposed to a juicer. I like to make smoothies as well, so the Vitamix works better for me. I hear that the Breville juicers are good! I was getting out of shape, so I decided to make a change and do some research on getting my core system and "guts" back into shape before working on my muscles. Green drinks helped me with that. I like "Green Juice" and a lot. Thank you for these recipes. You share interesting ideas here. I had bought the new juicer and made your recipes. http://juicer.guru/best-wheatgrass-juicers-review press is good working. Awesome post here you have made. 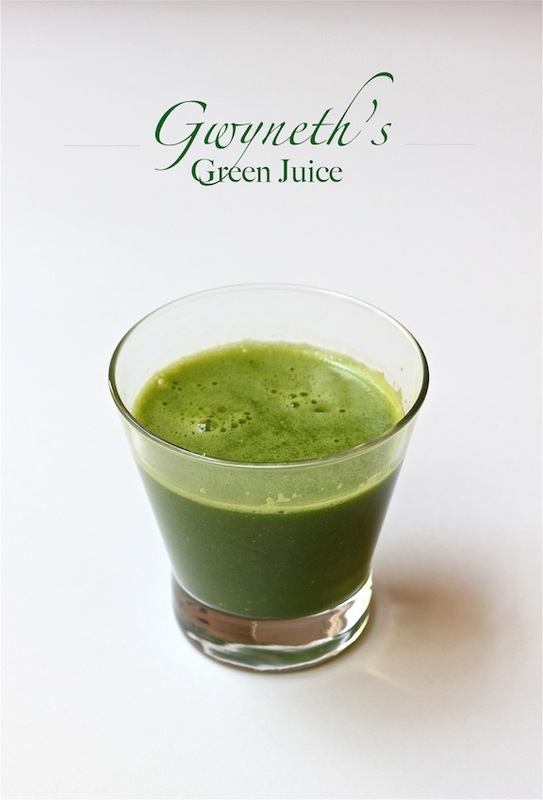 Gwyneth's Green Juice looks yummy. The idea is really awesome to me. I will try this recipe in my home next week. Hopefully my daughter will love it. I read some important information from https://www.totalbeings.com/organifi-green-juice-review/ about organifi green juice. It's helpful. Thanks anyway! Organifi is actually very helpful for human health. Last night I just landed on a site explaining all about Organifi Green Juice Reviews . This site is another addition to read some awesome benefits about this awesome juice.